Heathkit VF-7401 "It's a keeper!" I first picked up my Heathkit VF-7401 about 10 years ago at a local hamfest, I just liked the way it looked! plus the price was right! $30.00 However after playing with the radio for a bit, I really loved the way it preformed and worked! The following description depends on build quality to a degree, but i would rate mine as excellent build quality and alignment procedures, cuz mine works great! The radio has "by todays standard" very basic scan features (But useful) and I have always gotten above average comments on the transmit audio. The radio is 20 watts (at least mine is) and has a nice sensitive and tight receiver, picking up weak signals, it seems much better than the earlier HW-2036 model. I would say the receive is just as good as my Yaesu FT-8900 or Kenwood TM-732 and Transmit audio is better! I get reports its nice full sounding audio, not "tinny" or compressed like the typical rice box radios! Its by no means a small radio by todays standards, and its not DC to Daylight, But for a good hunk of sturdy and reliable radio, made with some good USA steel, you cant go wrong! Estimating the value of a rig can be challenging. 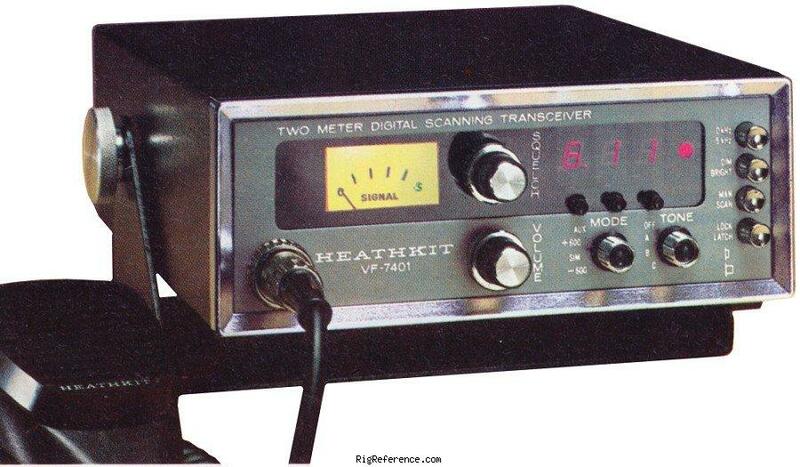 We collect prices paid by real hams over the years to help you estimate the current value of the Heathkit VF-7401. Just bought or sold this model? Let us know what you traded it for and help other ham operators!